Home / Blog / Accessing my documents via the Cloud is fantastic but what about my archive paper records? The whole concept of Cloud computing is great isn’t it? To be able to access all of your data in real time via an exact replication of your desktop screen from anywhere with a wifi connection is absolutely fantastic and has changed my life. The best system I have seen so far is by SpiderOffice (www.spidergroup.com – no I am not on commission!) It is very affordable, scaleable, easy to use and with enhanced security sign in protocols to protect against unauthorised access. Get the very charming and knowledgable Chloe Wheeler to show you the system (0117 933 0582). Predictions from the Cloud Industry Forum (CIF) are that 75% of UK businesses will be using at least one cloud service by the end of 2013 – and that they have seen a 27% increase in first time users in the last nine months. 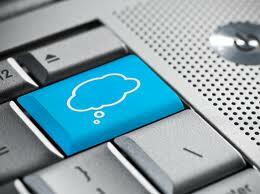 ‘Cloud’ is a generic term meaning the delivery of applications, products or services through the internet. The name comes from the use of a cloud shaped symbol as an abstraction for the complex infracstructure it contains in system diagrams. Later in this blog I list the pros & cons of accessing your data via the cloud and let’s face it most of us have read something about it. But… regardless of how great the cloud is it will only allow you access to records and documents that have been digitally captured i.e. PDF, TIF and JPEG files plus applications and products such as Microsoft Office. What it will NOT do is allow you to access remotely that desperately needed hard copy document which you know is on the third shelf from the right, about half way along the shelving in your archive store at the office!! (See the real life scenario below that happened to me that illustrates the point). At SFS we can help make this scenario a thing of the past by scanning all of your archive records as PDF, TIF or JPEG files and return them to you indexed on disk for you to upload onto your cloud database. We can scan any size original from till receipt to A0 diagrams in colour or black & white. We will even security shred the originals once they are scanned and you are happy with the images. Think about the biggest bonus of all — all that storage space currently taken up by archive storage that you can use for something profitable! If you want some help with backing up YOUR valuable paper records, without obligation, call us on 0800 008 7229. Will your cloud service go down unexpectedly – leaving you without important information for hours? If you decide to stop using the cloud service provider can you get your data back easily? Do you have a guarantee that your data will be destroyed once you have cancelled? How much data are cloud companies collecting and how might that be used? The more data you store the more you pay. Breaking through the fear barrier of breaches to the security of cloud stored data (“Is my data really safe?”) – particularly with older staff or technophobes. It seems to me that all the cons are perceived rather than actual or experienced and can be sorted out by a robust Service Level Agreement with the cloud provider but then I am a cloud supporter! So I settled down to write this brilliant showstopper of a presentation. I had everything I needed to except… dammit! the critical testimonial from my best customer which I knew was in their (archived) file in the office – disaster! It was 10 o’clock at night when I realised so no-one was in the office and I had no chance of getting hold of the testimonial until the next morning. And it got worse. I know that the testimonial is not easy to find because it is in one of their 6 files. Suffice it to say that I had to make do with a faxed (awful) copy of the testimonial, the client was not impressed and nor was my boss when we did not get the deal. Now my archive records are accessible via the cloud this does not happen any more but the blossoming relationship with that client could never be repaired. I guess that the moral of this blog is enjoy the cloud, embrace its myriad of benefits, get a good, reliable cloud service provider and take away the stress of being away from the office! And if we can help with your archive scanning or storage please contact us. The Cloud is a great concept. Here at BlueTree we use Google Docs. Multiple people can look at, and edit, the same document (including presentations :-) simultaneously. It’s great for development meetings over the phone. We also use our own website: we publish new designs, test plans, progress reports and so in a private area for each client. Best of all, both are free!